You would have been told by your doctor that you have Celiac disease. The doctor and family must have also told you to remove some food items from your diet to feel better. This transition may prove challenging to some of you initially but with a positive attitude, and a desire to regain your health, you can work towards making this process easy for you. Keep in mind that there are lakhs of people of various age groups with this condition in different parts of the world who are leading a happy, healthy and normal life on a gluten free diet. In my experience in the last 15 years, I have diagnosed and interacted with many children your age and have offered them suggestions, strategies and advice which many have found useful. I have enlisted them here and hope you will find them of use. There are some questions too which many children have asked me before and will help you understand the condition better so that you can control the disease. Read these and more on our website and watch the videos to learn more. You can download this document too. Revisit this page in few days when we will bring you experiences from other celiac children in India and quizzes too. I advise you to go for follow ups every 6 months to your doctor. They may do investigations if needed, and assess nutritional deficiencies. 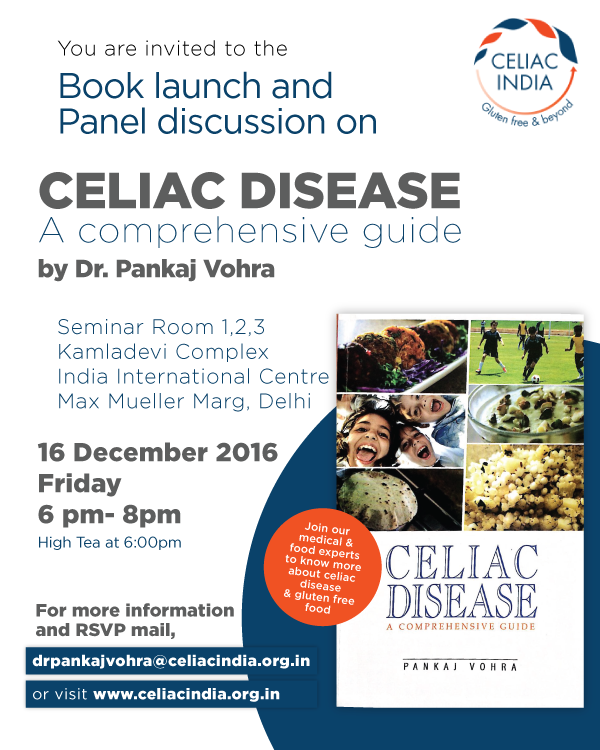 Meanwhile, if you have any suggestions or queries, please write to me at drpankajvohra@celiacindia.org.in. I would also like to hear about your experiences and challenges managing a gluten free diet. Always keep in mind that celiac disease is just a condition which only requires a strict adherence to a special diet.